We all love to travel in group with family and friends. Whether its weekend hangout with friends, picnic with family or an NBA with sports friends. We all love to spend time by traveling with friends and family. But oftentimes we tend to fail for occupying all our large group of family and friends in a normal sedan. Additionally we feel the need of such vehicle with lots of interior as well as luggage area to carry additional cargo. So here is the list of best 8 Seater family vehicles for you. The 2017 Honda Pilot is an 8 seater Crossover with squarish box layout. Thanks to the box layout design the Honda Pilot occupies 8 passengers at once. The very best feature of Honda Pilot is that its last row of Seats have pretty good leg space, thus even the passengers in last row will not feel much complaints while going for long road trips. The Honda Pilot is equipped with a 3.5 litre V6 engine. The Honda Pilot has the powerful performance of 280HP with 6 speed and 9 speed auto transmission system. 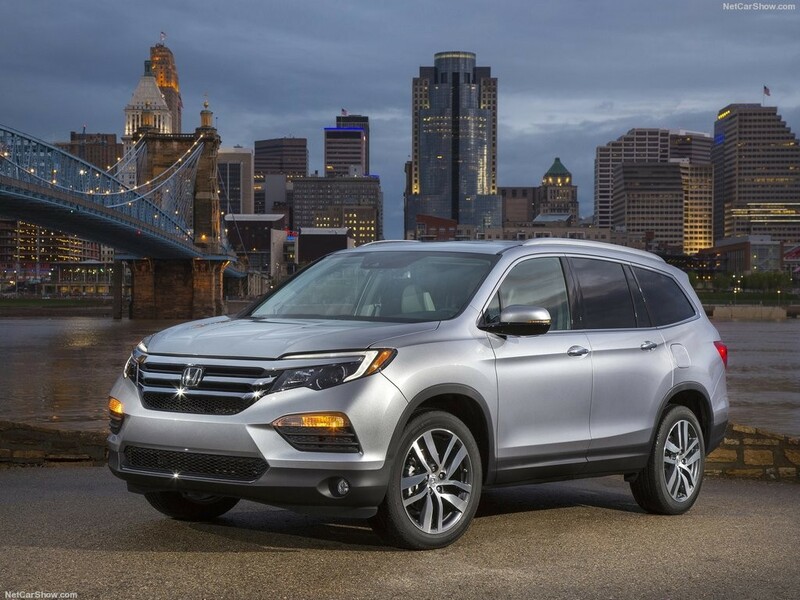 The Honda Pilot has 2 versions, all wheel drive and front wheel drive. 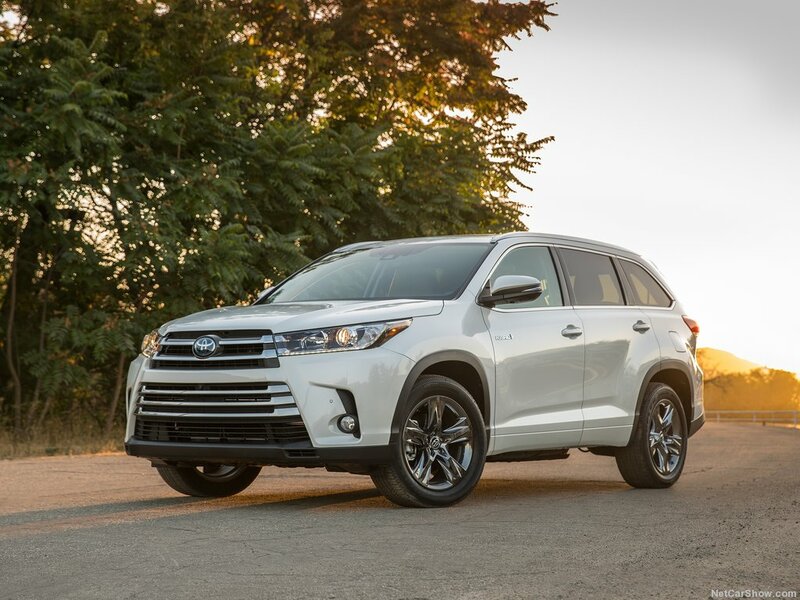 On its outer appearance the Toyota Highlander looks pretty aggressive in terms of exterior view but it’s pretty much gentle crossover suv compared to other SUVs of Toyota. In terms of interiors The Toyota Highlander is a modest crossover suv with 3 row seatings which can occupy at least 8 passengers. The Toyota Highlander is very popular for its pretty good safety scores. It has got 2 versions of engine, 270 HP V6 engine with all wheel drive configuration and 185HP 4 cylinder engine with front wheel drive. 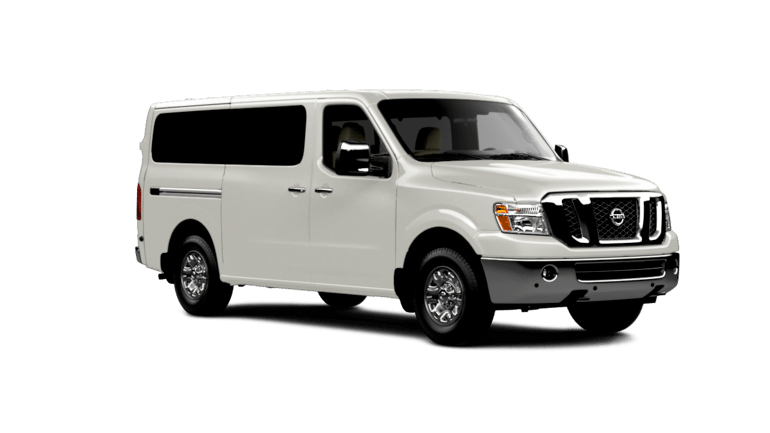 The Ford Transit is the replacement model of Ford E series, when it was launched it was perceived as a cargo van but in terms of passenger vehicle it meets the requirements of hauling large group of people. The Ford Transit comes in various versions of seating configurations such as 8 passenger, 10 passenger and even 15 passengers in some extents. The Ford Transit boasts 3.7 litre engine with V6 configuration capable of producing 275 horsepower. 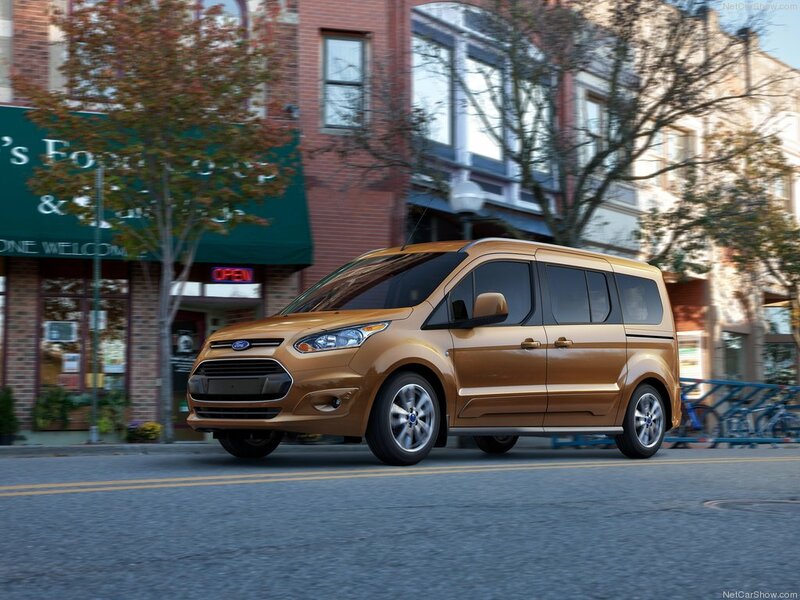 Though if you’re looking for a cargo van you can opt for a higher end model with better power performance such as EcoBoost or turbo engine. A standard Ford Transit Wagon comes with basic set of standard features such as map navigation, decent entertainment system, Bluetooth connectivity etc. 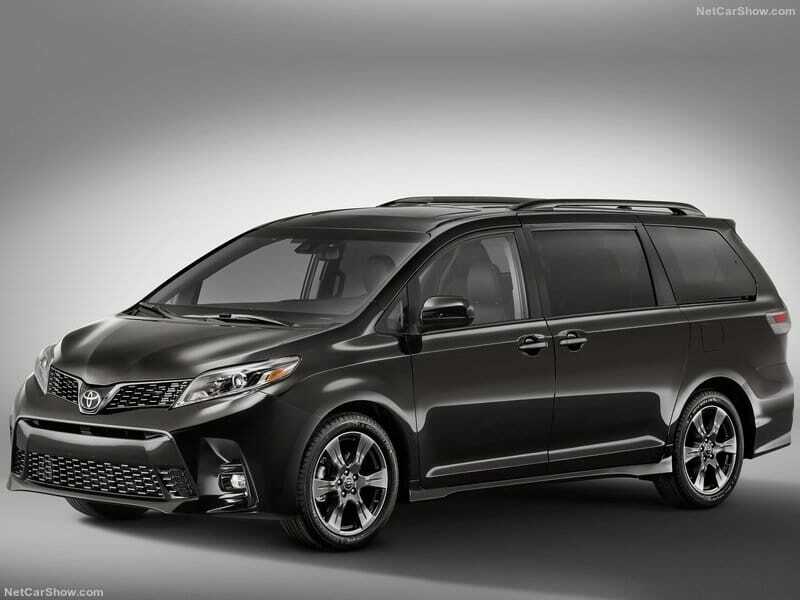 For many of you the Toyota Sienna might look like a minivan but it can occupy 8 passengers with proper configuration in its seating arrangements. Additionally the Toyota Sienna has got impressive traction for driving on hilly regions as well as snowy belts. It comes in front wheel drive as well as all wheel drive options. The Toyota Sienna is coupled with an adequate performance of 266Hp 3.5 litre V6 engine. One of the worth noticing features of Toyota Sienna is its impressive fuel economy hence it can serve as a best 8 seater family vehicles for long road trips. Known as prominent leader in passenger vehicle Chevrolet Suburban is an ideal 8 passenger vehicle. It has 3 rows of seating and the 3rd row can be folded flat to make additional space for cargo. 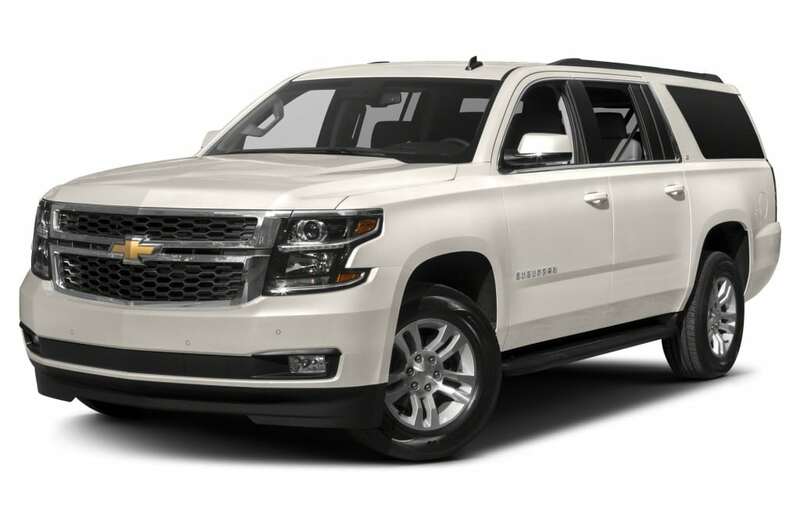 The Chevrolet Suburban is coupled with 5.3 litre V8 engine with power performance of 355hp. It is available in front wheel as well as all-wheel drive versions with 6 speed automatic transmission. The GMC Acadia is known for giving priority to passenger’s comfort rather than on performance comprised with safety. It is equipped with a powerful V6 engine with power of 281hp. 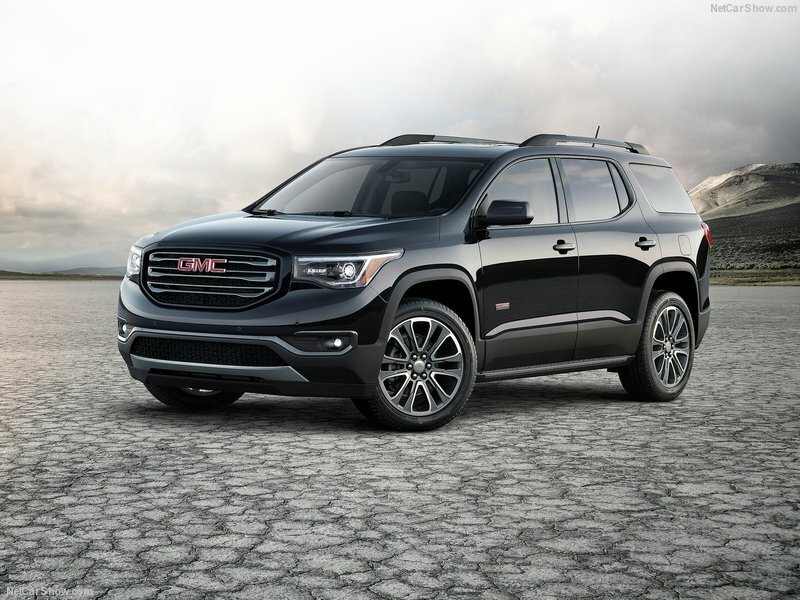 The GMC Acadia is available in all wheel as well as front wheel drive configuration. The last row of the seats can be folded for additional space of cargo thus giving more authentic term of true 8 passenger vehicle with lots of cargo space. If there’s any vehicle which can be configured in lots of ways, it’s Mercedes-Benz Sprinter. Though it can serve as 8 passenger vehicles, it can occupy upto 12 people. It comes in 2 versions as 2.1 litre and 3.0 litre, four cylinder and V6 engine with BlueTEC technology, with power of 188hp. 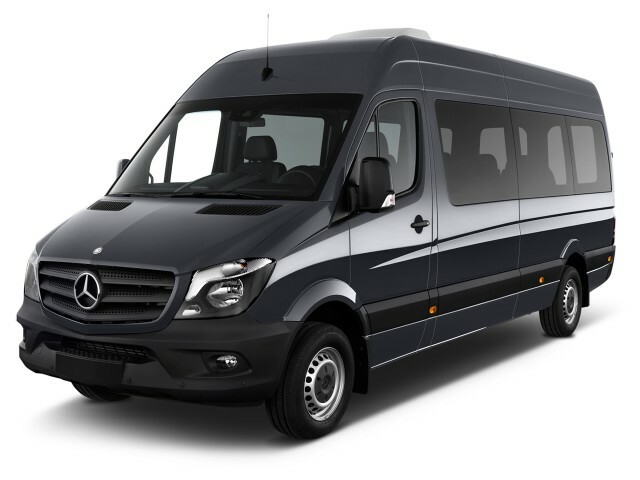 The Mercedes-Benz Sprinter is a 7 speed automatic transmission 8 seater family vehicle. Even with full loading capacity the Mercedes-Benz Sprinter can be driven very smoothly because of high visibility. 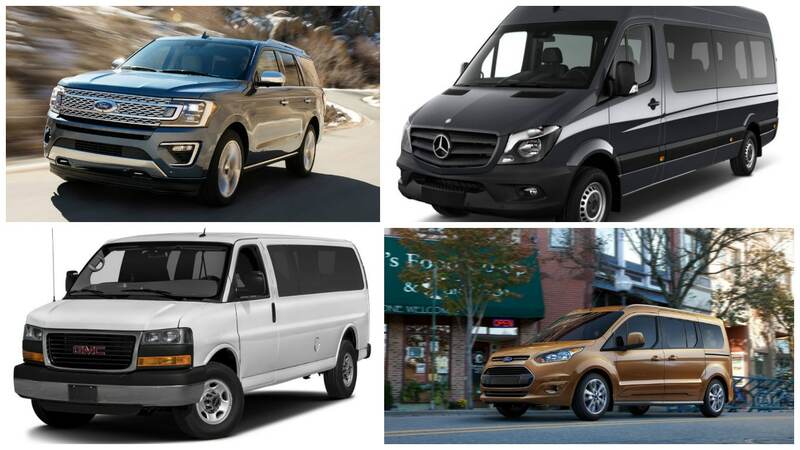 If you think that the United States market of 8 seater vehicle is dominated by brands such as Chevrolet and Ford, you’re wrong. The Japanese brand Nissan is nowhere behind. The Nissan NV is such passenger vehicle which can accommodate up to 15 passengers at a time. The official website of Nissan claims that there are more than 270 seating configurations for Nissan NV. The engine options for Nissan NV are 5.6 litre V8 engine with 317Hp and 4 litre V6 engine with 261 hp. Let us know if we have missed any 8 passenger vehicles.